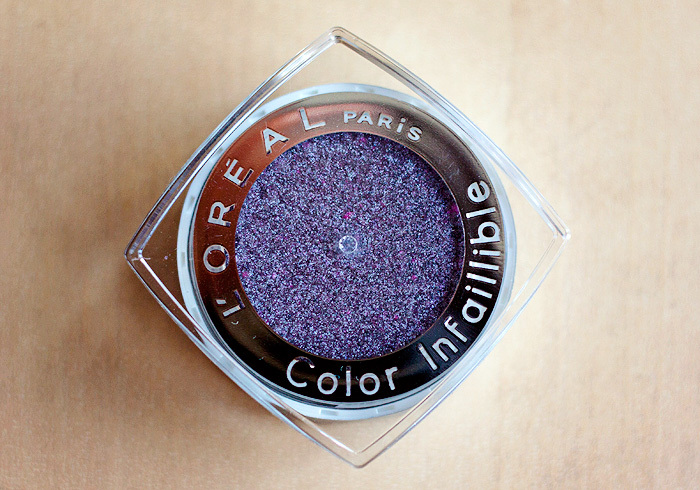 When I first reviewed the L’Oreal Color Infallible range a couple of years back, I was impressed with the amount of pigment these little pots delivered. They were obviously hot on the heels of Armani’s Eyes to Kill Intense/Chanel Illusion D’Ombre high-end releases and presented an inexpensive way to jump on the is-it-cream-or-is-it-powder bandwagon. My only issue with them back then was with their staying power as I found them sliding around on my lids after a few hours, both with or without a primed base. 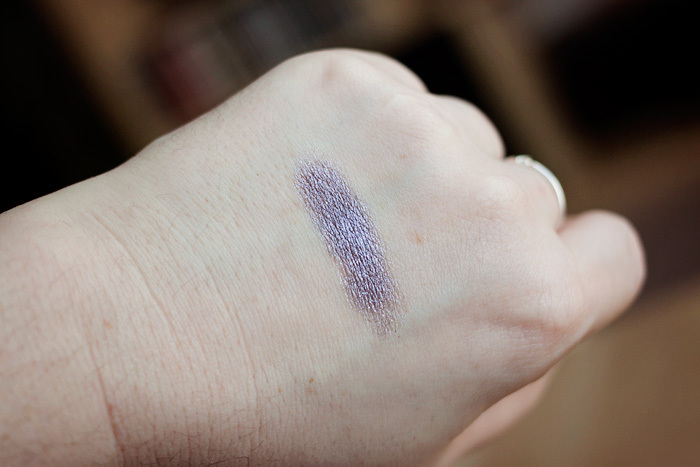 However, I’m a sucker for my purples and the limited edition Metallic Lilac release had been haunting me ever since I saw swatches a while back. Still not quite enthused enough to hot-foot it down to Boots (how many purples does one woman actually need?) I held off until I was reminded of its existence during a late-night eBay browse. The particular beauty of this shade for me lies in its irridescence. It has a delicate sparkle that remains on your lids without too much migration and injects the area with reflected light… something that I’m particularly partial to when I drag my sorry bones out of bed in time for the school run. 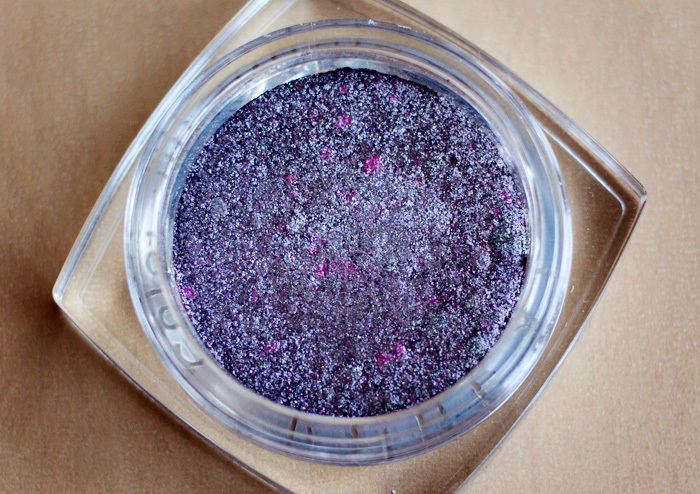 The flashes of pink in the powder prevent the shade from being too icy, and there’s a subtle greyed-out quality that will appeal to those of us who don’t want our eyeshadows to scream too loudly at passers-by. I use a flat brush to apply this to the center of my primed lid before buffing out the edges for a softer finish. I’m wearing it today on the lower lashline, a little heavier than I would across the lid and it adds a look-twice amount of colour without being over the top. Longevity still isn’t the greatest on the lids for me but I’m a little more lenient nowadays, less demanding of staying power in my old age… perhaps I just don’t need all-day-long wear anymore. That being said, I still get around 5 hours with a primer, so it’s not too bad. 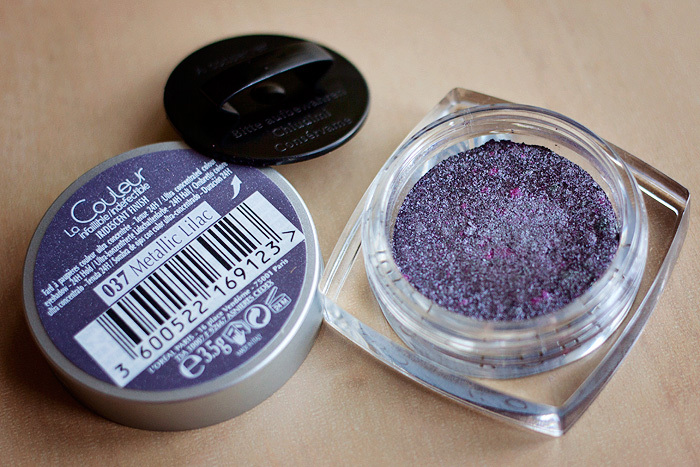 I also should point out that I do believe that I’m in the minority with grumbling about wear issues with this range of eyeshadow. Most bloggers tend to find that this gives great all-day wear with a primed base. 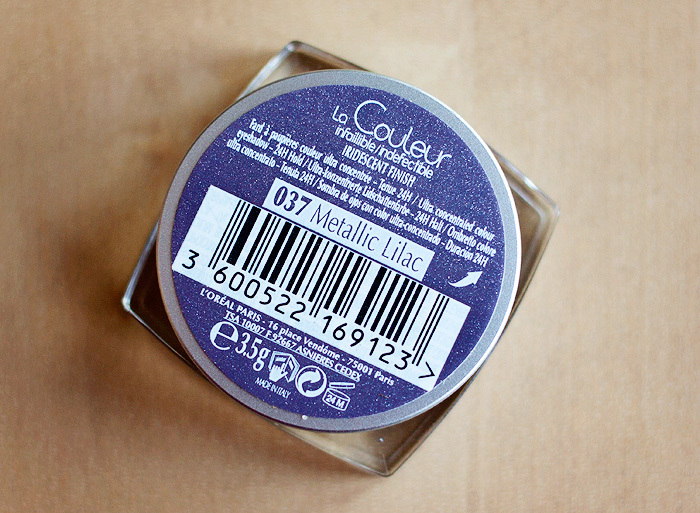 You can pick the L’Oreal Color Infallible Eyeshadow in Metallic Lilac up on eBay from £2.25 with free postage. Or you can go to Subway and buy a bacon sub with a drink for £2.00 – I won’t hold it against you if you choose the bacon, there’s no easy answer to this one. ooh I like it! Those are really photos by the way – so clear. subway or makeup…THE STRUGGLE IS REAL MY FRIENDS! haha great post! That is a gorgeous color! I’ll have to glance at these again when I’m at Wal-Mart!